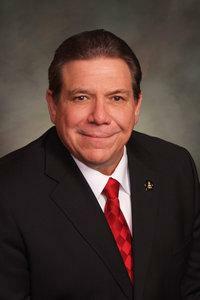 Ray Scott was elected to theColorado State Senate in 2014, representing the 7th district. He supports exploring the transfer of public lands to state control, and he opposed efforts to limit methane pollution. Scott also sponsored legislation to create a raffle for obtaining hunting licenses for big game. State Senator Ray Scott Supports Exploring the Transfer of Public Lands to State Control. Since 2014, Ray Scott has taken at least $550 from Colorado Oil and Gas Association. Ray Scott took $200 from Colorado Oil and Gas Association in October 2014. Ray Scott took $350 from Colorado Oil and Gas Association in October 2017. Since 2014, Ray Scott has taken at least $200 from Colorado Mining Association. Ray Scott took $200 from Colorado Mining Association in October 2014. Since 2014, Ray Scott has taken at least $300 from Colorado Petroleum PAC.